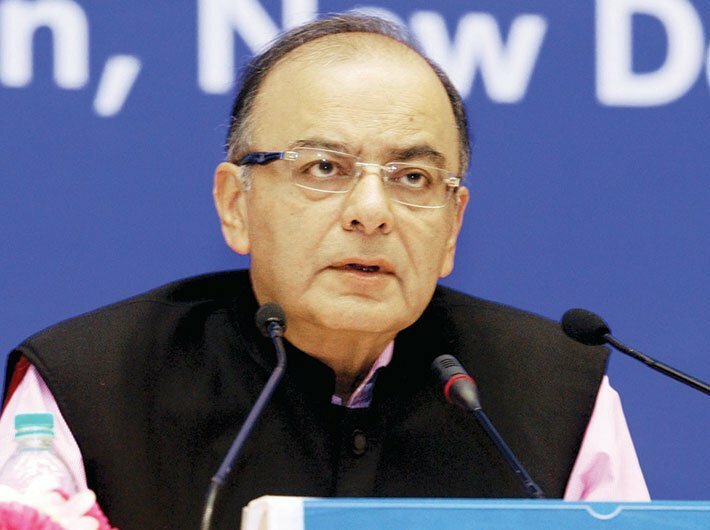 A series of major reforms undertaken over the past year will allow real GDP growth to reach 6.75 percent this fiscal and will rise to 7.0 to 7.5 percent in 2018-19, said the Economic Survey 2017-18 that was tabled in parliament on Monday by union minister Arun Jaitley. The survey underlines that due to the launch of transformational Goods and Services Tax (GST) reform on July 1, 2017, resolution of the long-festering Twin Balance Sheet (TBS) problem by sending the major stressed companies for resolution under the new Indian Bankruptcy Code, implementing a major recapitalisation package to strengthen the public sector banks, further liberalisation of FDI and the export uplift from the global recovery, the economy began to accelerate in the second half of the year and can clock 6.75 percent growth this year. The survey points out that as per the quarterly estimates; there was a reversal of the declining trend of GDP growth in the second quarter of 2017-18, led by the industry sector. The Gross Value Added (GVA) at constant basic prices is expected to grow at the rate of 6.1 percent in 2017-18 as compared to 6.6 percent in 2016-17. Similarly, agriculture, industry and services sectors are expected to grow at the rate of 2.1 percent, 4.4 percent, and 8.3 percent respectively in 2017-18. It points out that the GDP growth has averaged 7.3 percent for the period from 2014-15 to 2017-18, which is the highest among the major economies of the world. That this growth has been achieved in a milieu of lower inflation, improved current account balance and notable reduction in the fiscal deficit to GDP ratio makes it all the more creditable. The survey highlights that against the emerging macroeconomic concerns, policy vigilance will be necessary in the coming year, especially if high international oil prices persist or elevated stock prices correct sharply, provoking a “sudden stall” in capital flows. The agenda for the next year consequently remains full: stabilising the GST, completing the TBS actions, privatising Air India, and staving off threats to macro-economic stability. The TBS actions, noteworthy for cracking the long-standing “exit” problem, need complementary reforms to shrink unviable banks and allow greater private sector participation. The GST Council offers a model “technology” of cooperative federalism to apply to many other policy reforms. Over the medium term, three areas of policy focus stand out: Employment: finding good jobs for the young and burgeoning workforce, especially for women. Education: creating an educated and healthy labor force. Agriculture: raising farm productivity while strengthening agricultural resilience. Above all, India must continue improving the climate for rapid economic growth on the strength of the only two truly sustainable engines—private investment and exports.